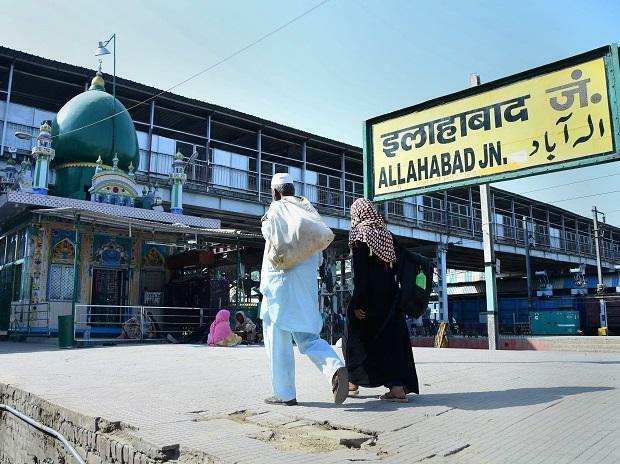 Days ahead of the "Kumbh Mela", the Union Home Ministry has approved the Uttar Pradesh government's proposal to rename Allahabad as Prayagraj. A no-objection certificate (NOC) from the Home Ministry will now ensure that names of other institutes in the district, including railway station, high court and university, are also changed. In October last year, the Yogi Adityanath-led government had proposed the change in the name of Allahabad. A government statement cited "board researched documents" behind the name change and found that "there were 14 Prayags in the country but only one here, also known as King of all Prayags". Confirming the move, a senior Home Ministry official said: "There are some central institutions, high court, railway station and organisations named after Allahabad. Letters have been sent to other Central ministries informing that the Home Ministry has approved the proposal of the UP government. The state government will now get approval from other Central ministries and change the names accordingly." Under the government guidelines for the renaming of railway stations, villages, towns and cities, it is mandatory to obtain a NOC from the Union Home Ministry by the state government. The Home Ministry had earlier approved the renaming of the British-era railway station Robertsgang as Sonbhadra, Farah Town railway station near Mathura and iconic Mughalsarai junction after Deen Dayal Upadhyay -- both in Uttar Pradesh. The opposition parties had criticised the government's move to change the name of Allahabad.